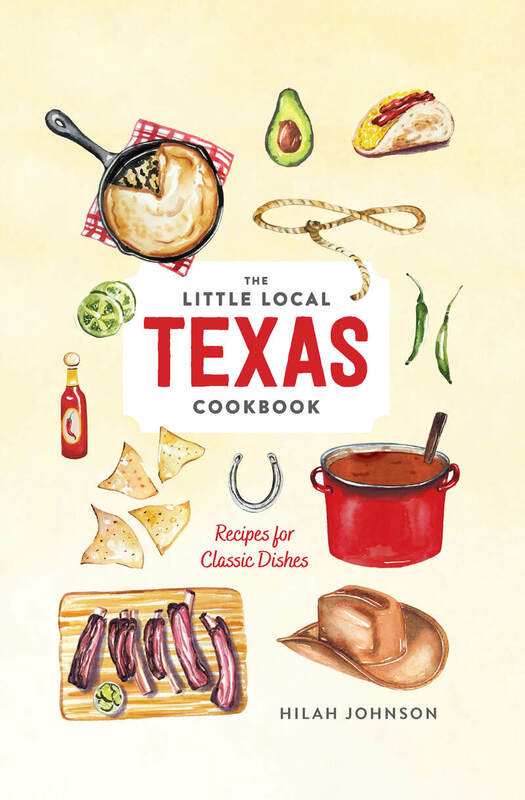 The Little Local Texas Cookbook brings the essential flavors of Texas to your table. From traditional BBQ to celebratory party treats, you’ll find recipes for slow-roasted beef ribs, chicken-fried steak, chili cheese enchilada breakfast tacos, Texas sheet cake, and other classic dishes. Written by a regional food expert and beautifully illustrated, this little cookbook is the perfect gift for Texans and tourists alike. Native Texan Hilah Johnson is a cookbook author and the producer for Hilah’s Texas Kitchen, a series of web videos for Tastemade Studios. Her many books include The Breakfast Taco Book and Learn to Cook.